M2 International Resort & Leisure Consultancy & Management B.V.
a. Client must be understood as the party awarding the contract. b. Contractor must, unless indicated otherwise, be understood as M2 International Resort & Leisure Management & Consultancy BV (hereinafter referred to as: “M2 Leisure’’). c. Assignment must be understood as the agreement concluded by and between the client and the contractor. d. Activities must be understood as all that which the contractor performs and/or undertakes for the benefit of the client within the framework of the assignment contracted to the contractor. a. 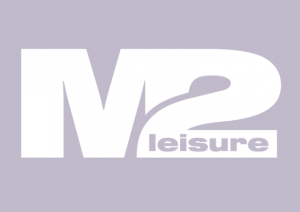 These general terms and conditions are applicable to all offers, proposals and agreements between M2 Leisure and a client to the extent that the parties do not expressly deviate from these terms and conditions in writing. b. The present terms and conditions are also applicable to agreements with the contractor for the implementation of which the contractor must rely on the assistance of third parties. c. The applicability of possible purchase or other terms and conditions of the client is hereby expressly rejected. d. If one or more provisions set forth in these general terms and conditions should at any time be null and void or cancelled, either in whole or in part, then the remaining provisions set forth in these general terms and conditions shall remain in full force and effect without abatement. The contractor and the client shall in that case enter into discussions in order to agree on new provisions in the course of which the objective and the scope of the original provisions is taken into account as much as possible. e. If there is any obscurity in terms of the interpretation of one or more provisions set forth in these general terms and conditions then the situation must be assessed in the spirit of these general terms and conditions. a. All offers and proposals of the contractor are subject to contract, unless the offer specifies a time limit for acceptance. b. The contractor cannot be bound by its offers if the client can within reason understand that the offer contains an apparent error or clerical error. c. The prices specified in an offer or proposal are excluding VAT and other official duties. d. If the acceptance (whether or not on subordinate points) deviates from the content of the offer or the proposal then the contractor shall not be bound by this. The agreement is in that case not concluded in accordance with this deviating acceptance, unless the contractor indicates otherwise. e. A composite quote does not oblige the contractor to perform a part of the assignment against a corresponding part of the specified price. f. Offers and proposals are not automatically applicable to future offers. a. The agreement by and between the contractor and the client is concluded for a definite period of time, unless the nature of the agreement indicates otherwise or if the parties expressly stipulate otherwise in writing. b. If a time limit has been stipulated or indicated for the performance of specific activities or for the delivery of specific goods then this shall never be qualified as a fatal deadline. In case of an overstepping of a time limit the client must therefore give the contractor written notice of default. The client must in connection therewith offer a reasonable time limit within which the agreement can still be implemented. c. The contractor shall implement the agreement to the best of its insight and ability and in accordance with high standards. d. The contractor is entitled to have third parties carry out specific activities. The applicability of article 404, article 407 paragraph 2 and article 409 of Book 7 of the Dutch Civil Code is expressly excluded. e. The contractor is entitled to implement the agreement in different phases and to invoice the thus implemented part separately. f. If the agreement is implemented in phases then the contractor can suspend the components that pertain to a subsequent phase until the client has approved the results of the preceding phase in writing. g. The client sees to it that all data, of which the contractor indicates that they are required for the implementation of the agreement, are timely supplied to the contractor. If the data required for the implementation of the agreement have not been supplied to the contractor in a timely fashion then the contractor shall be entitled to suspend the agreement and/or to charge the additional costs deriving from the delay to the client in accordance with the then common fees. The completion time does not take off before the client has made the data available to the contractor. The contractor shall not be liable for damages, of any nature whatsoever, as the contractor departed from incorrect and/or incomplete data supplied by the client. h. If the client still fails to soundly comply with that to which it is held vis-à-vis the contractor then the client shall be liable for all damages inflicted on the part of the contractor as a direct or indirect consequence thereof. a. The contractor is authorised to suspend compliance with the obligations or to dissolve the agreement if the client does not, incompletely or untimely comply with its obligations by virtue of the agreement, if circumstances that have come to the knowledge of the contractor after the conclusion of the agreement give the contractor reasonable ground to fear that the client shall not comply with the obligations, if upon the conclusion of the agreement the client was requested to provide security for compliance with its obligations by virtue of the agreement and this security fails to materialise or is insufficient or if as a result of the delay on the part of the client it can no longer be expected of the contractor that it shall comply with the agreement against the originally stipulated conditions. b. The contractor is moreover authorised to dissolve the agreement if circumstances occur that are of such nature that compliance with the agreement has become impossible or if circumstances otherwise occur that are of such nature that unchanged preservation of the agreement can within reason not be expected of the contractor. c. If the agreement is dissolved then the claims of the contractor vis-à-vis the client immediately fall due. If the contractor suspends compliance with the obligations then the contractor shall retain all its claims pursuant to the law and the agreement. d. If the contractor proceeds with suspension or dissolution it shall by no means be held to pay compensation for costs in any way whatsoever incurred as a result thereof. e. If the dissolution can be blamed on the client then the contractor shall be entitled to compensation for the damages, including costs, inflicted as a direct and indirect result thereof. f. If the client does not comply with the obligations deriving from the agreement and this non-compliance justifies dissolution then the contractor shall be entitled to dissolve the agreement with immediate effect without any obligation on its part to pay any compensation or indemnification, whilst the client, on account of a breach of contract, is, however, held to pay compensation or indemnification. g. In case of liquidation, (an application for) suspension of payment or insolvency, an attachment – if and to the extent that the attachment is not lifted within 3 months – at the expense of the client, debt rescheduling or another circumstance as a result of which the client can no longer freely dispose of its assets the contractor shall be authorised to terminate the agreement with immediate effect without being held to pay any compensation or indemnification. The claims of the contractor vis-à-vis the client shall in that case immediately fall due. h. If the client fully or partly cancels a placed order then the activities that were carried out and the goods that were prepared for the same, plus the labour reserved for the implementation of the agreement, shall be charged to the client in full. a. The contractor is not held to comply with any obligation vis-à-vis the client if the same is prevented from doing so as a result of a circumstance that cannot be blamed on negligence, and must neither be at its expense in pursuance of the law, a legal act or generally accepted practice. b. In these general terms and conditions force majeure is, in addition to that which is understood as such pursuant to the law and case law, understood as all external causes, foreseen or not, that are beyond the control of the contractor however as a result of which the contractor is unable to comply with its obligations. This also includes industrial action at the company of the contractor or third parties. The contractor is also entitled to rely on force majeure if the circumstance that prevents (further) compliance with the agreement occurs after the contractor should have complied with its obligation. c. During the period that the force majeure continues the contractor can suspend its obligations by virtue of the agreement. If this period continues for more than two months then either party shall be entitled to dissolve the agreement, without being held to pay the other party compensation or indemnification. d. In as much as at the time of the occurrence of the situation of force majeure the contractor has meanwhile partly complied or shall comply with its obligations by virtue of the agreement and independent value can be attributed to the complied or still to be complied part, respectively, then the contractor shall be entitled to invoice the already complied or still to be complied part, respectively, separately. The client is held to pay this invoice as if there were question of a separate agreement. a. Payment must always take place within 1 month after the date of the invoice, in a manner to be indicated by the contractor and in the currency of the invoice. The contractor is entitled to invoice periodically. b. If the client fails to timely pay an invoice then the client shall by operation of law be in default. The client is then liable to pay an interest of 1% per month, unless the statutory interest is higher in which instance the statutory interest shall be payable. The interest over the payable amount shall be calculated as from the moment that the client is in default up to the moment of satisfaction of the payable amount. a. If the contractor should appear to be liable this liability shall be limited to that which has been regulated in this provision. b. The contractor shall not be liable for damages, of any nature whatsoever, occurring as the contractor departed from incorrect and/or incomplete data supplied by or on behalf of the client. c. If the contractor should appear to be liable for any damages then the liability of the contractor shall be limited to at most the value of the invoice of the order, at least up to the part of the order to which the liability is related. d. The liability of the contractor shall in any case be limited to the amount of the benefit paid out by its insurer, as the occasion arises. e. The contractor is exclusively liable for direct damages. f. Direct damages are exclusively understood as the reasonable costs for the establishment of the cause and the scope of the damages, to the extent that the establishment is related to damages within the meaning of these general terms and conditions, the possible reasonable costs incurred in order to have the defective performance of the contractor comply with the agreement in as much as this can be blamed on the contractor and the reasonable costs incurred to prevent and limit damages within the meaning of these general terms and conditions. The contractor shall never be liable for indirect damages, including consequential damages, lost profit, lost savings and losses due to business interruptions. The client indemnifies the contractor against possible claims of third parties who incur damages in connection with the implementation of the agreement and of which the cause can be attributed to a party other than the contractor. If the contractor is thus addressed by third parties then the client shall be held to assist the contractor both in and out of court and to forthwith do everything that can be expected of the same. Should the client fail to take adequate measures then the contractor shall be authorised to, without any notice of default being required, personally proceed with the same. All costs and damages on the part of the contractor and third parties resulting there from shall fully be at the expense and risk of the client. The contractor reserves the rights and authorities that are attributed to the same in pursuance of the Dutch Copyrights Act and other intellectual property legislation and regulations. The contractor is entitled to use the knowledge increased on its part as a result of the implementation of the agreement for other purposes, provided strictly confidential information of the client is not disclosed to third parties. Dutch law is exclusively applicable to all legal relationships to which the contractor is a party. These general terms and conditions have been filed with the Chamber of Commerce in Rotterdam.